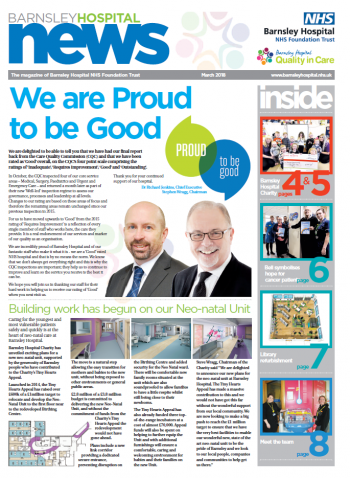 Our quarterly magazine is filled with stories about the staff who work here and patients who have been treated here. 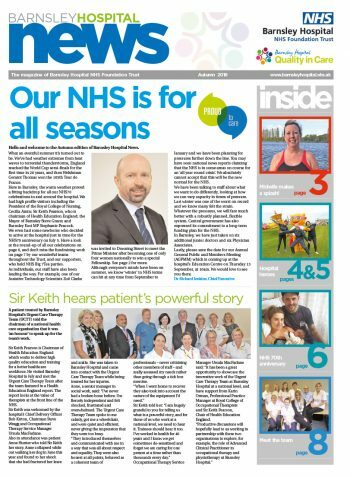 Barnsley Hospital News is the quarterly newsletter for patients, Trust members, staff and the public, we use it to connect with our stakeholders and update you on what is going on in and around the Trust. 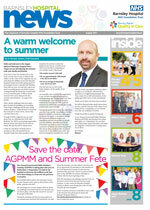 Previously a hard copy of this newsletter was only issued to our members and staff. 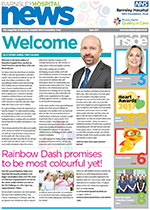 We wanted to connect with the wider Barnsley community, our patients and visitors so we have changed the format and distribution of the newsletter. 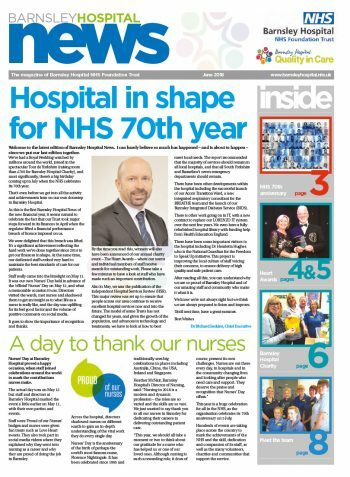 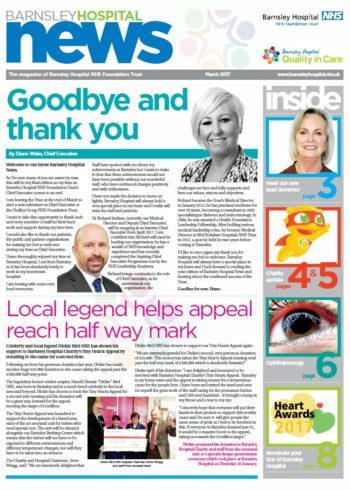 Since April 2015 Barnsley Hospital News has been distributed as a supplement within the Barnsley Chronicle and is available for free from stands in selected supermarkets. 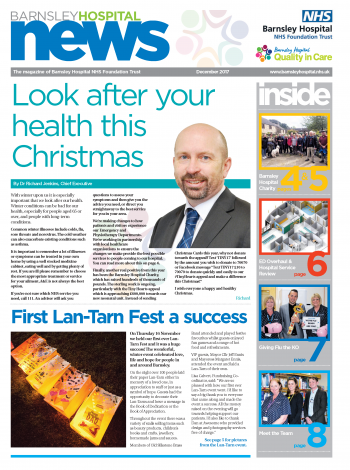 You can view PDF versions of the newsletter below.